No, my desk at home is never this neat nor clear of clutter. 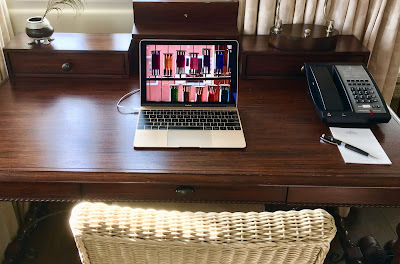 This is the desk in my beautiful room at Belmond El Encanto. The setup is pretty much the same as any hotel work area at any hotel in the world, five star or otherwise. Two power outlets are provided at desktop level, a definite plus. I've sometimes had to crawl under the desk to find an electrical outlet and, occasionally, even had to unplug something else to provide a working outlet for my computer. I'm writing today with a special plea for hotels: please think ergonomically about the workspaces provided for guests. Ergonomic experts make a number of suggestions. 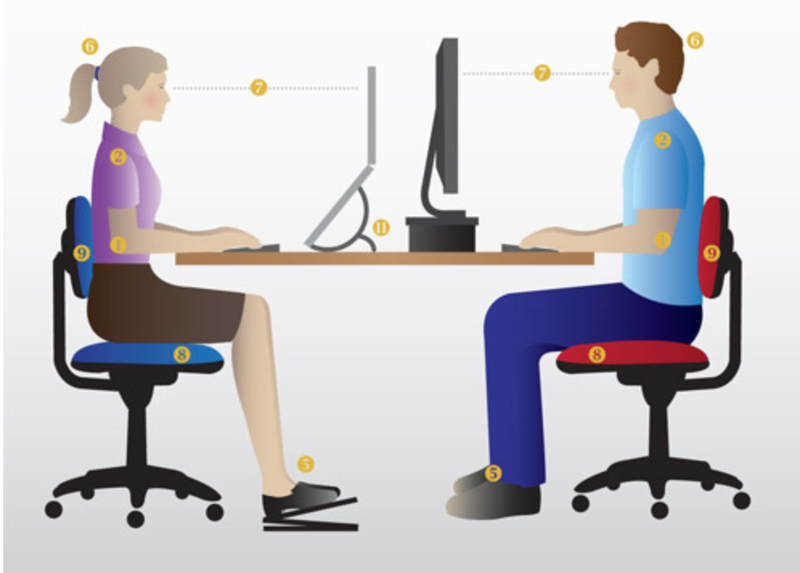 One's eyes should be looking at the top third of the screen, and one's elbows should be above the desk. Provide laptop risers to guests who request them. Even better, offer risers that can be raised to the level of a standing desk. Consider mounting an external monitor above each desk. Make available bluetooth-ready external keyboards. Provide desk chairs whose seat can be raised or lowered. Interior designers and ergonomic experts will be in conflict over these ideas... but many leisure travelers cannot avoid (or resist, as the case may be) bringing their work on vacation. Hopefully, today's blogpost can start the conversation. copyright (c) 2018 by Ourisman Travel LLC. All rights reserved. We provide Virtuoso and other Preferred Partner amenities as an affiliate of Brownell, a Virtuoso® member. If you have comments on this column, or questions about booking travel, email me or visit our website.